Naloxone is an antidote used to reverse the effects of opioid drugs like heroin, morphine and methadone if someone overdoses. The HSE is currently undertaking a demonstration project to assess and evaluate the suitability and impact of using a prefilled Naloxone injection which is designed for non-medical administration in Ireland. 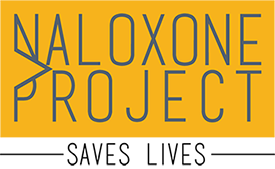 The overall objective of the project is to make naloxone more widely available for opioid drug users. The project involves 600 opiate users receiving take-home naloxone on prescription. It will also include those recently released from custody who have been identified as at high risk of opioid overdose. These drug users and those close to them have been trained on how to administer naloxone, which comes in a pre-filled syringe, and to recognise the signs of an overdose. Naloxone is an antidote used to reverse the effects of opioid drugs like heroin, morphine and methadone if someone overdoses. Naloxone is not a cure but can help to keep a person alive until an ambulance arrives. Q2. Where can I get Naloxone? Naloxone is a prescription medication. This means it needs to be prescribed by a Doctor. Naloxone will be prescribed to a person who is at risk of overdosing on opioids. If you are prescribed Naloxone, ask your Doctor for more than one and give it to a friend or family member who will be around when you are using. Q3. How can I learn how to use Naloxone? If you are engaged with any support programs, ask your key worker. You can also ask your Doctor or go to drugs.ie/naloxone for more links and information. Q4. Can I use Naloxone that has been prescribed for me by someone else? If your Naloxone has expired, take it back to where you got it and ask for a new one. Q6. Can I use Naloxone if it has expired? If it is the only thing you have, use it. Naloxone will start to lose its effectiveness when it’s out of date. However, it may be strong enough to reverse an overdose if that is the only kit that is available. It cannot hurt, so use it and continue to perform rescue breathing and call for help and ambulance. Q7. Will we ever have nasal Naloxone? Yes, we are awaiting authorisation on the European market and it is much more expensive. Don’t try pouring naloxone into the victim’s nose or mouth: Trying to make someone who has overdosed and is unconscious swallow naloxone (or any liquid) can be dangerous, as it might go into their lungs. In any case, this won’t work because not enough naloxone will be absorbed. Q8. If someone either uses their kit / loses the kit or leaves it in a hostel - will it be replaced? A. If lost or left behind the prescriber will need to prescribe another product for that individual and notify centrally i.e. the Naloxone Demo Project what happened to the product and record same per the proposed evaluation and recording format. A. Pregnancy: The safety of this medicinal product for use in human pregnancy has not been established. Evaluation of embryo or foetus, the course of gestation and peri- and postnatal development. Prenoxad Injection should, like all drugs, be used with caution during pregnancy. In a pregnant woman who is known or suspected to be opioid-dependent, risk-benefit must be considered before Prenoxad Injection is administered, since maternal dependence may be accompanied by foetal dependence. In this type of circumstance, the neonate should be monitored for respiratory rate and signs of opioid withdrawal. Use in Labour and Delivery: Naloxone Injection may be administered to mothers during the second stage of labour to correct respiratory depression caused by opioids used to provide obstetrical analgesia. It is not known if Naloxone affects the duration of labour and/or delivery. Lactation: It is not known whether Naloxone is excreted in human milk. Because many drugs are excreted in human milk caution should be exercised when Prenoxad Injection is administered to a nursing mother. The search function on MHRA is also useful. Q10. Are pregnant females at higher risk of overdose? A. There is little evidence to suggest this but from March 2011 The Eighth Report of the Confidential Enquiries into Maternal Deaths in the United Kingdom. It reported that out of 35 known substance misusers who died 10 were attributed to overdose. Furthermore theoretically, the physical compression of the lungs in late pregnancy could mean that there is less respiratory reserve, should respiratory depression occur. Furthermore, If the woman is on an ineffective dose during pregnancy (due to active dose reduction or reduced serum methadone concentrations due to pharmacokinetic changes as pregnancy progresses) then there would be a theoretical risk of relapse of heroin use and overdose risk. Q11. If Naloxone has been administered and the individual refuses to go into an Ambulance and decides they want to reuse later, how long should they wait until using again? A. It is advised that from the training that all persons take the advice of attending the hospital as Naloxone has a short half-life and there is a risk of a relapse into an overdose. The harm reduction advice is to ensure that the patient is aware of the signs of overdose and the risks associated with consuming again. Q12. Where will the Kits be held and can all GP's prescribe Naloxone? A. All GPs can prescribe Naloxone, see Health Products Regulatory Authority for those authorised in Ireland. Prenoxad will be made available to sites directly to the prescribers once the required training has been completed. Q13. What will the Gardai do? Visit our overdose page for information on overdose and overdose prevention. I understand that this manual is to be used by workers and trainers who have received the appropriate training by recognised trainers. This manual can not be amended without consultation and permission from the National Quality Assurance Group. This resource remains the Copyright of the HSE and must be noted if used in relation to other reasons outside of the Naloxone programme. I have read, understood, and agree to be bound by the conditions of use. By downloading and using the policies, I indicate that I have read, understood and agree to be bound by the conditions of use. Below are a series of short training videos for the Naloxone Demonstration Model. Click the play button to play each video online. Other versions, including mobile phone versions, can be downloaded by clicking the links below each video.